Withers Fruit Farm is a family run farm situated in a stunning hillside location, overlooking the small town of Ledbury, Herefordshire. The farm, now run by George Leeds was started in 1958 by George’s father, Allen Leeds after returning from 20 years in cocoa production in Ghana. Allan planted a smallholding consisting of 18 acres of apples, strawberries and raspberries, initially supplying wholesale markets before supplying supermarkets and pick your own trade. George’s son, Richard is also involved in the business having gained experience working for Berryworld who market the farm’s fruit. Over the years the farm has become one of the largest and most modern farms in the UK. 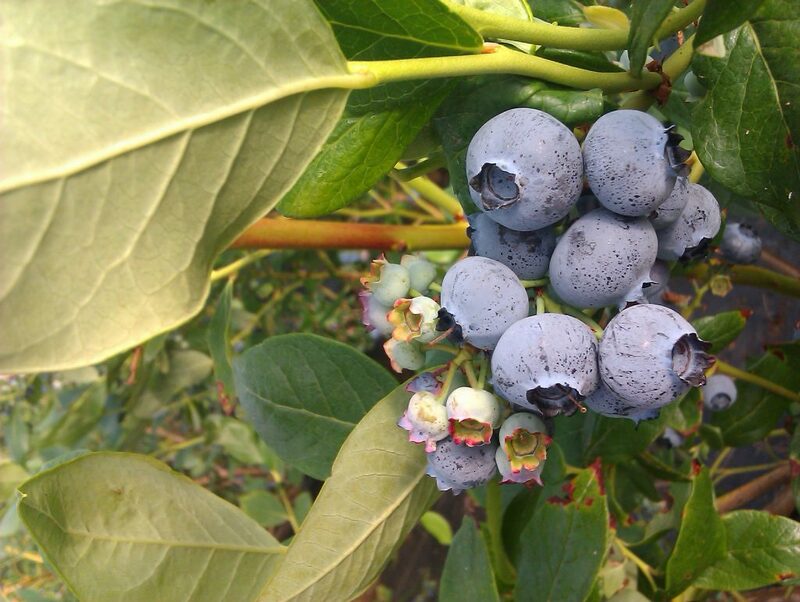 Surrounding land was acquired and Withers Fruit Farm now covers 380 acres of owned and rented land, comprising of 128 acres of strawberries, 47 acres of blueberries, 20 acres of apples and 17 acres of kiwiberry with another 6 acres to be planted during 2018. 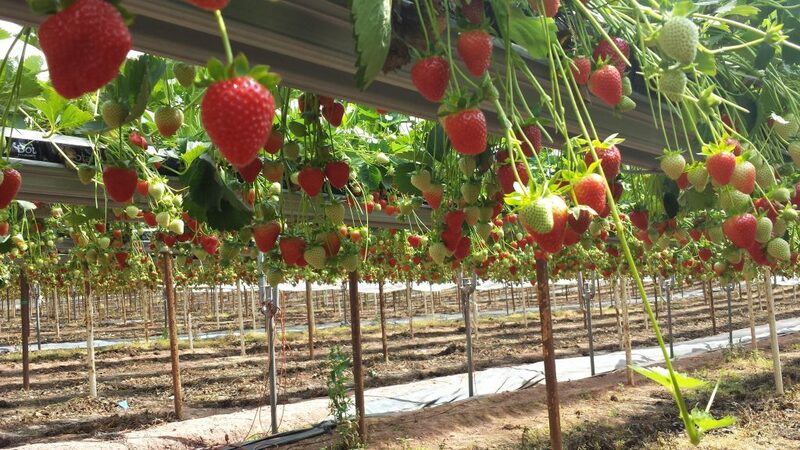 Withers has been an industry leader in the production of strawberries using table top and coir bags, this system allows for easy picking, controlled growing and coir is an environmentally friendly alternative to peat. 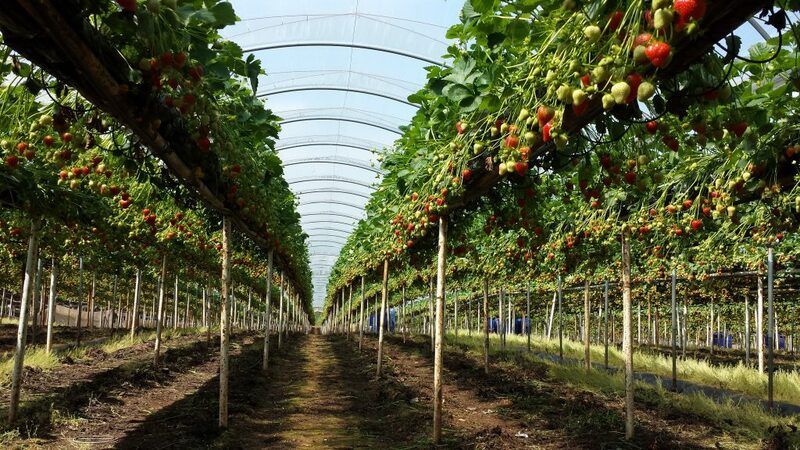 Supplying a large range of customers including, Tesco, Waitrose, Co-op and Asda from May to October, the two main varieties of strawberries grown are Sweet-Eve and Eve’s Delight. Investing in environmentally friendly practices, in the past year Withers Fruit Farm has installed Solar Panels and a Biomass boiler within the farm accommodation to reduce energy consumption and provide heating to 300 seasonal staff. Fruit grown at Withers Fruit Farm is stored and packed at Wye Fruit. George Leeds became Chairman of Wye Fruit in 2015 after serving almost 20 years as a Director.